Find hotel near Buda Beach Buzios Restaur ..
One of the most eclectic places to visit while in Armacao dos Buzios, the Buda Beach Buzios Restaurant is every tourist’s dream come true. The popular nightlife hangout place is known for its weekend DJ nights, beautiful dining ambience and their highlight Samba Dance show which is a local favorite as well. When in town, do visit the place to explore its delectable Sushi, authentic Brazilian food and International bests, all wrapped up with good music and warm service. Call up the place for reservation before visiting. Call up the place for changed timings on Public holidays. Samba Dance shows are from Monday to Friday. 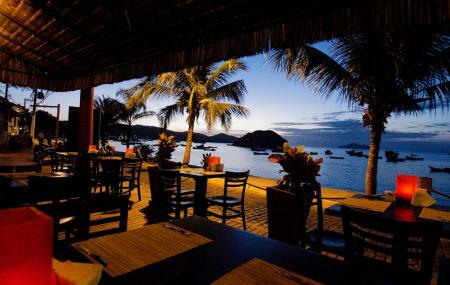 How popular is Buda Beach Buzios Restaurant? People normally club together Restaurant David and Orla Bardot Boardwalk while planning their visit to Buda Beach Buzios Restaurant. The place is nice and spacious, the restaurant is close to the seashore and serves a huge variety of food so to catch up with the tastes of every kind of tastes. Service is not bad and personnel is friendly anyway food quality is not the best, cocktails and wine list are poor. The whole experience is average, anyway is a nice place where to spend your dinner. We came here on a Sunday night and it was great! Started out kinda quiet and really picked up later on in the night. They also had live music the entire night which was a nice touch. Our server was great- once he knew we were English speaking he had his coworker come over and ask if we had any questions about the menu. We got pizza and it was seriously delicious! Highly recommend coming here!